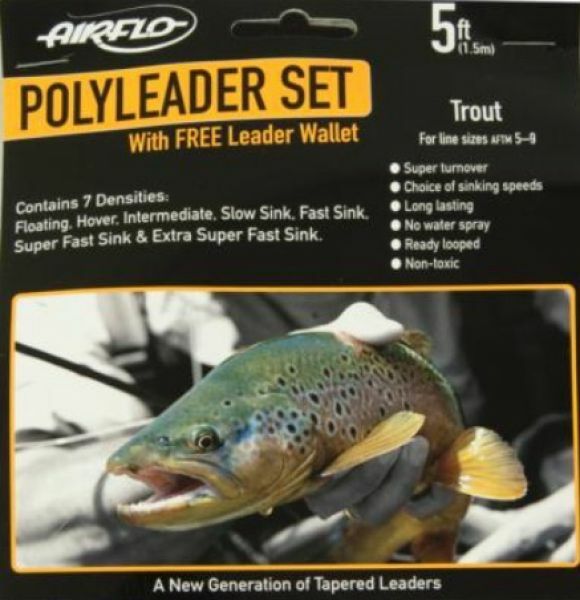 A set of 7 densities of 5 foot long Trout Polyleaders providing you with the tools to cover countless fishing conditions. Sink Speeds: Floating, Hover 0.5" per sec; Intermediate 1.5" per sec; Slow Sink 2.6" per sec; Fast Sink 3.9" per sec; Super Fast Sink 4.9" per sec; Extra Super fast Sink 6.1" per second. Free Airflo Storage wallet included.